London, UK – Skidmore, Owings and Merrill’s (SOM) master plan for New Covent Garden Market has won the Merit Award for Excellence in Urban Design at the prestigious American Institute of Architects (AIA) International Region Awards 2018. SOM’s ANew Covent Garden Market Master Plan sees the 57-acre site reimagined to drive the regeneration of the area, delivering new residential development and a repositioned, modern and fit-for-purpose market facility. 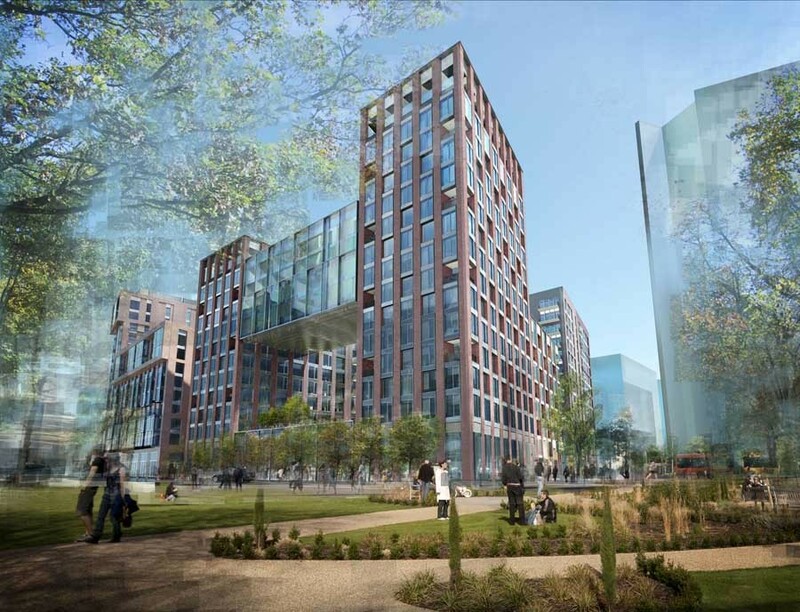 The master plan was delivered for clients Vinci St. Modwen (VSM) and the Covent Garden Market Authority (CGMA) and represents the largest development in London’s Nine Elms regeneration area. The master plan offers more than 20 acres of surplus land for residential-led, mixed-use development, securing the new fruit, vegetable and flower market facility’s future in the local neighbourhood on a cost-neutral basis. The plan also ensures the retention of a key local employment zone providing more than 2,500 directly employed jobs. In addition to the 500,000-square foot wholesale market facility, SOM’s hybrid planning application for the new neighbourhood will introduce up to 3,000 new homes, 135,000 square feet of office space, and 100,000 square feet of retail, leisure, and community venues. The successful plan is a result of close coordination between the London Borough of Wandsworth, as well as key stakeholders including the London Borough of Lambeth, the City of Westminster, the Greater London Authority, Historic England, and numerous local community groups including the Covent Garden Tenants’ Association. 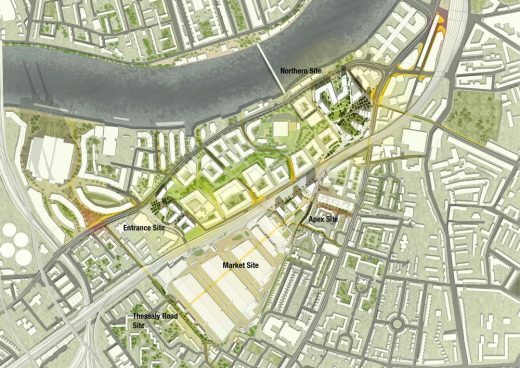 The entire scheme is set alongside the emerging Nine Elms Linear Park, stretching from Vauxhall to Battersea Power Station and engaging the American Embassy. The area also benefits from the extension of the Northern Line and the opening of two new London tube stations, connecting people living and working in Nine Elms to the urban core and beyond. 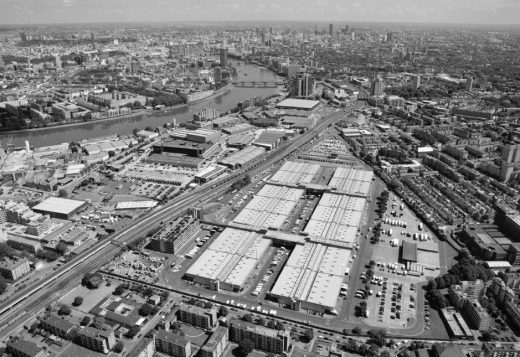 The entire New Covent Garden Market site will be within a five-minute walk of public transport. 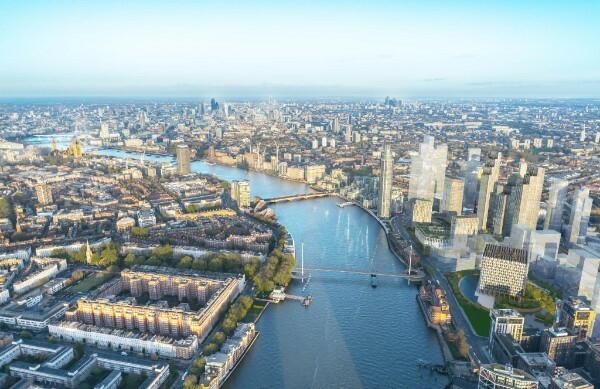 Working together, SOM and Building Design Partnership (BDP) have delivered a seamless master plan that will increase the permeability and connectivity of the district with the new park, the River Thames, and the city beyond. 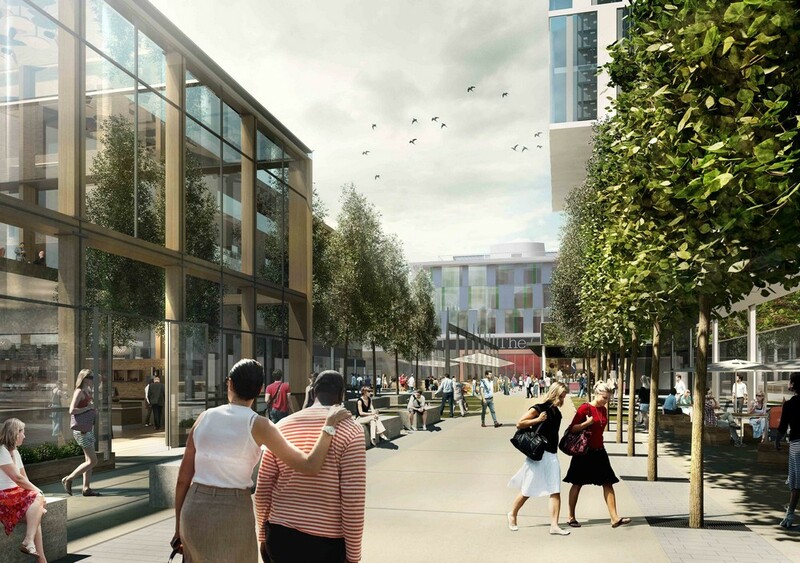 Following the agreed master plan, BDP developed the detailed design of the market facilities, while SOM developed the hybrid planning submission for the Surplus Lands sites. The plan calls for the integration of a new outdoor market space, local culinary shops and restaurants within future private development adjacent to ‘The Garden Heart’, CGMA’s flagship building and public front to the future market. 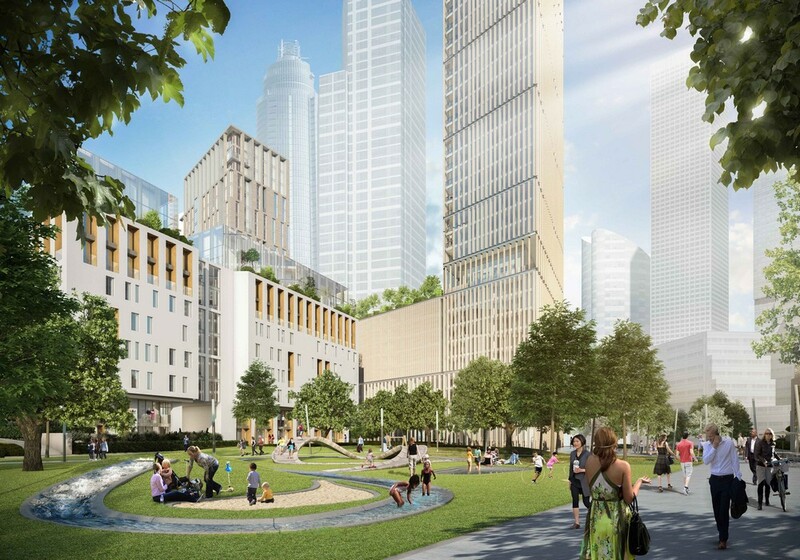 Since obtaining the complex planning approval for future development, the Northern Site – or Nine Elms Square – has exchanged ownership and SOM is now carrying this major component of the Surplus Lands sites forward through to delivery with R&F Properties to provide three towers of 55, 45 and 35 storeys in the first phase.